Louise Clay Morgan 87, of Indian Creek, went home to be with her Lord on Monday April 1, 2019. Born September 8, 1931 in Mullens, she was the daughter of the late Carl Riley, and Mary Jane Baker Clay. 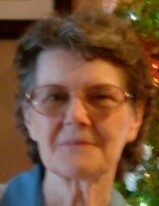 Louise was a life long resident of Wyoming County, and attended Indian Creek Community Church, and Turkey Ridge Baptist Church. She was a loving mother, grandmother, and great-grandmother. She loved her home on Indian Creek, and was so proud that she helped build it with her late husband. In addition to her parents she is preceded in death by her loving husband of almost 50 years Jay P. Morgan. her sister, Margie Cline, her brother Roger Clay, and her son-in-law Scott Fisher.